Want to update your home? Famous for its affordable design, Ikea is your one-stop-shop for everything from beds and sofas to lighting, bathrooms and more. And if you want to give your house a new look but don't want to spend a fortune, Ikea voucher codes are a great way to save money when you shop. Whether you want to give every room a full overhaul or just refresh an old, tired space with some funky news designs, Ikea vouchers can help you create your dream home for less. Founded in 1943 by 17 year old Ingvar Kamprad, Ikea started life as a mail-order sales business. Opening its first furniture store in 1958, Ikea has grown over the years to become a household name, designing and selling ready-to-assemble furniture, appliances and home accessories to millions of customers worldwide. 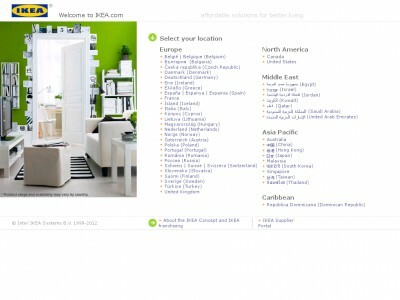 There are currently 349 Ikea stores across 43 countries, with the Ikea website showcasing the largest selection of its range – over 12,000 products covering everything from bedroom furniture to children's designs. Ikea is known for its affordable, accessible designs, selling interesting and practical home accessories at a sensible price. The company's modern architectural style is instantly recognisable, and their products are associated with eco-friendly sustainability and Scandinavian simplicity. Ikea's aim is to make everyday life at home comfortable and fun, collaborating with customers to create new designs that combine form, function quality, sustainability and a low price. They work closely with their suppliers and manufacturers across 50 countries, with a special code of conduct called IWAY in place to ensure that everyone enjoys good working conditions and that good environmental conduct is always practised. Ikea offers a wide range of products on its website, with customers able to browse through many categories including garden, bedroom, living room, bathroom, kitchens, lighting, children's Ikea, textiles and rug, home office and more. Items available range from full bathroom suites and modular kitchens to cushions, rugs and other soft furnishings. Want to treat your home to some Ikea design? With Ikea vouchers you can get a great new look for any room in your home without breaking the bank. Whether you want a new sofa for your living room, a dreamy new bed or a piece of modern art for your wall, an Ikea voucher is the perfect way to save money while you shop. Browse our website until you find an Ikea discount code that suits you, then navigate to their website to begin shopping. Enter your Ikea voucher code in the box provided and click 'Add'. Want to enjoy access to exclusive content from Ikea? Check out the company's dedicated Youtube channel. With original features and design showcases, home makeovers, video assembly instructions, product overviews and much more, it's a great way to get more from Ikea. You can also find out more about saving money on your shopping with Ikea vouchers. Browse the website until you find a product you like. Enter your Ikea discount code in the box provided and click 'Add'. Make sure you have redeemed your free Ikea voucher before finalizing your checkout! Delivery charges at Ikea vary dependent on the size and shape of the product ordered. If you need to return a product for any reason to Ikea, just return it in its original packaging within 90 days. Need to contact the team at Ikea? Whether you have a question about your order, want to give feedback on the company or simply want to find out more about saving money with Ikea vouchers, you can contact the Customer Service department by telephoning 020 3645 0000 or accessing the online help centre here. Want to find out more about what's going on behind the scenes at Ikea? For interior design tips and ideas, information about upcoming events, competitions and Ikea vouchers and more, why not follow the company across all your favourite social media platforms? Don’t forget to check them often, as you can never be sure when free Ikea voucher codes might be waiting for you! With the official Ikea app you can find out more about your favourite Ikea products from your mobile device. Get information on local stores and special offers, create and personalise a shopping list, find out what's new in stock and more. Buy now online at www.ikea.com. How many times have you heard the sentence “I need to make an Ikea run”? I don’t know anyone that hasn’t! The good news is that shopping at Ikea.com is now even cheaper thanks to Ikea vouchers and Ikea discount codes! With the huge selection of products that Ikea offers, and we also know how a planned “30 minute trip to Ikea” can easily turn into hours of shopping. By redeeming Ikea vouchers (which are free), you are guaranteeing yourself the lowest price possible, which is why you shouldn’t hesitate to use one the next time you’re shopping!